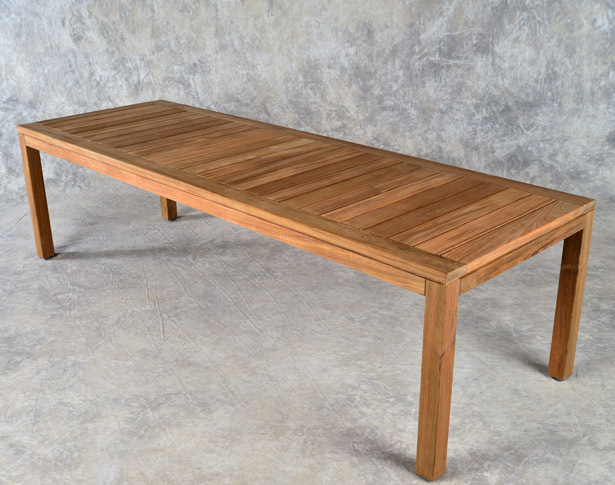 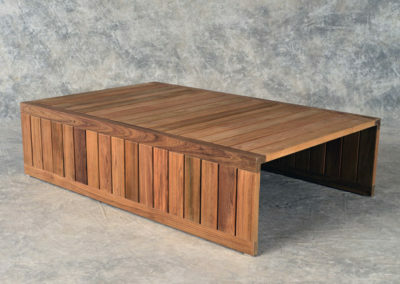 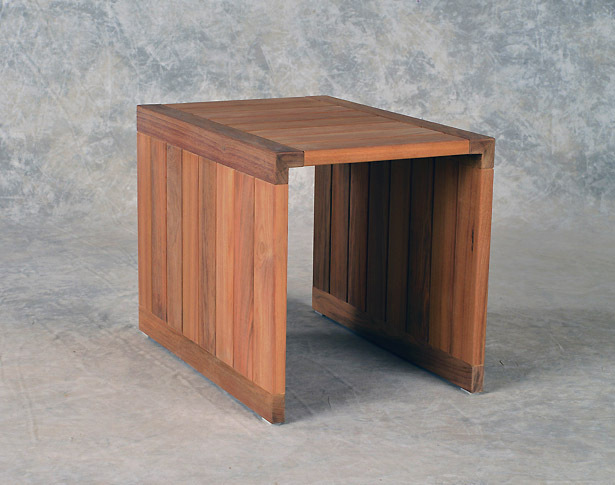 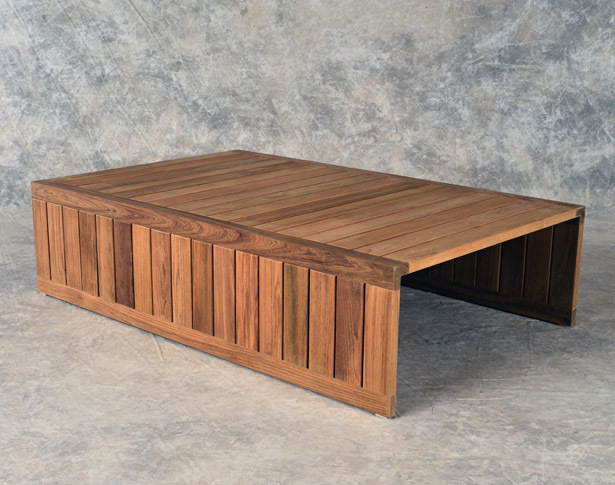 Features: Custom Tables feature wide slats in dining, cocktail and sidetable styles. 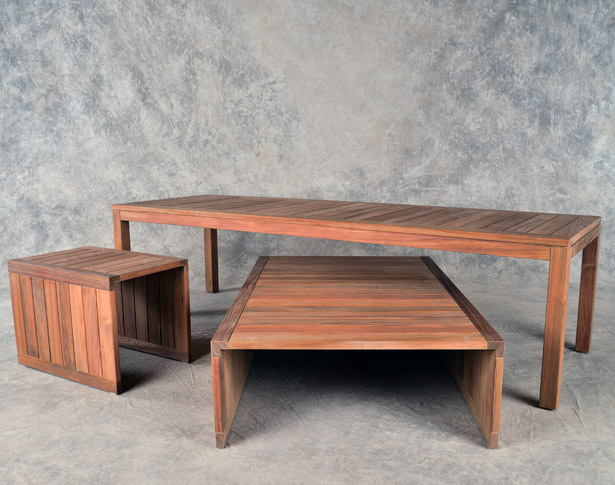 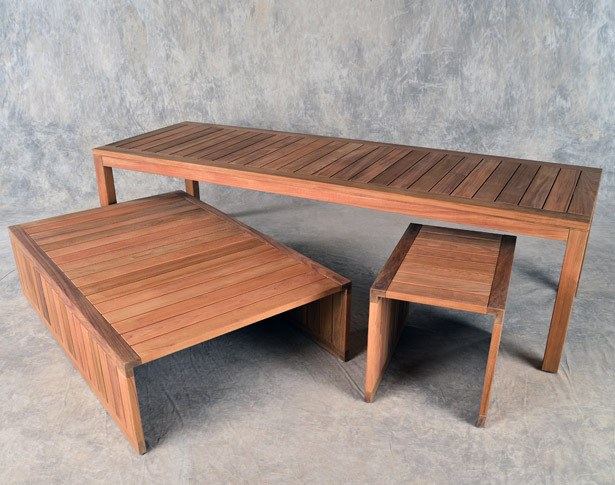 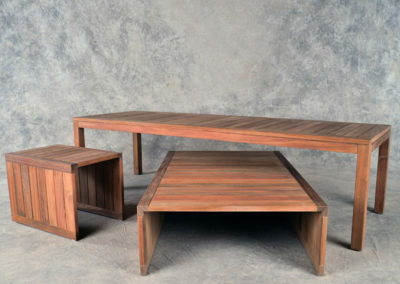 Made from bare teak wood. 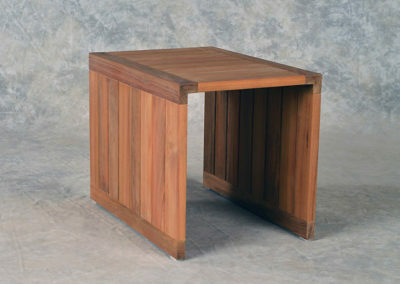 Also offered in bare and finished mahogany.